However, not everyone likes to eat fish and some people actually fear eating fish because of the pollution in the oceans (I have friends who do not eat fish, though personally I cannot imagine not eating fish).... besides those who love eating fish like yours truly can't quite consume it that frequently as well because we all know these fatty fish can be pretty pricey here in Malaysia too..
BiO-LiFE is a nutritional supplement brand in Malaysia with 28 years of experience in the healthcare industry. 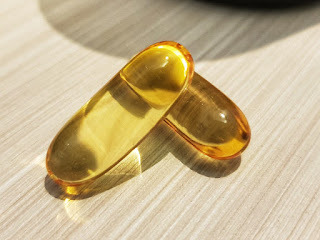 BiO-LiFE has formulated a viable alternative – packing the goodness of high strength fish oil in convenient capsules. The healthcare company believes that prevention is the best medicine – a principle that drives its able team of nutritionists, biochemists, food technologists and microbiologists to continuously develop nutritional supplements and herbal remedies for Malaysians throughout its 28 years in the country. 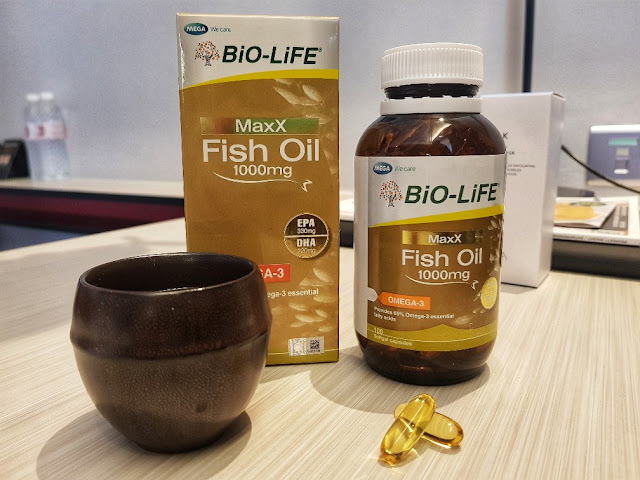 Just eating one capsule of the BiO-LiFE MaxX Fish Oil 1000mg daily is enough to meet the recommended dosage of Omega-3 fatty acids intake for general health maintenance.. I love consuming BiO-LiFE MaxX Fish Oil 1000mg because it is value for money as it provides the maximum benefits of Omega-3 fatty acids in an optimum combination of cost and quality... and eating it combined with my workouts at the gym makes me feel so much better and friends have been complimenting me..
Purchase the BiO-LiFE MaxX Fish Oil 1000mg now at leading pharmacies nationwide now! 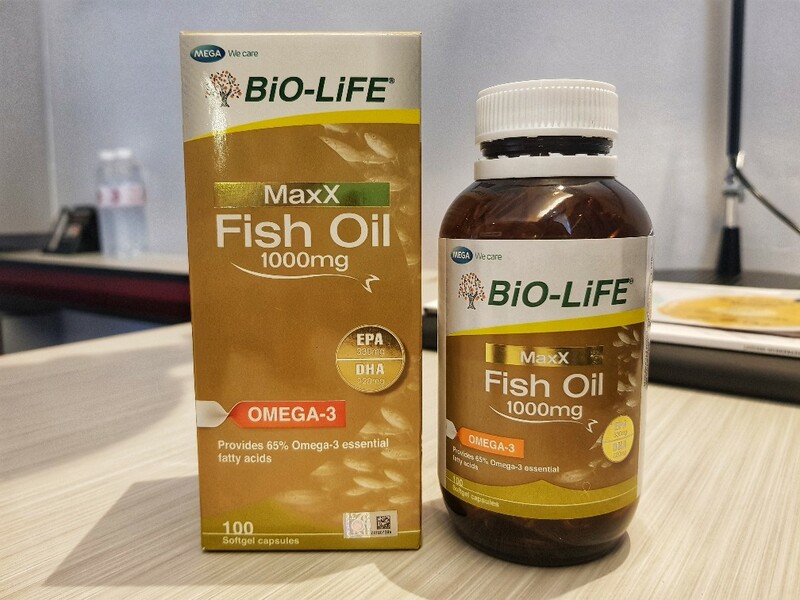 BiO-LiFE MaxX Fish Oil 1000mg VALUE PACK retails at RM159, comes with three bottles of 100 capsules each. 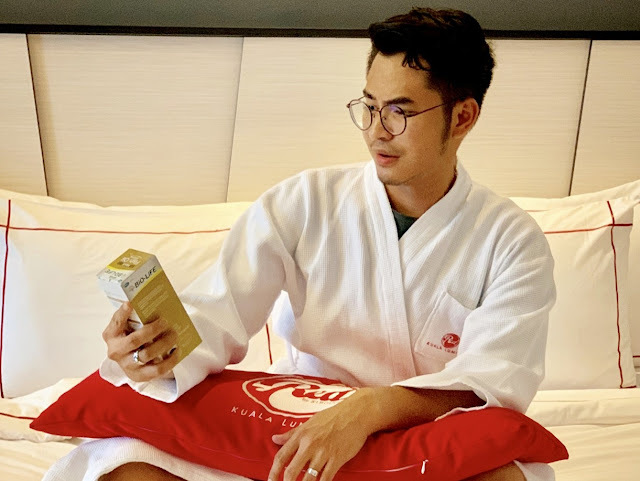 For more information, visit our website at http://Biolife.2.vu/Maxx.